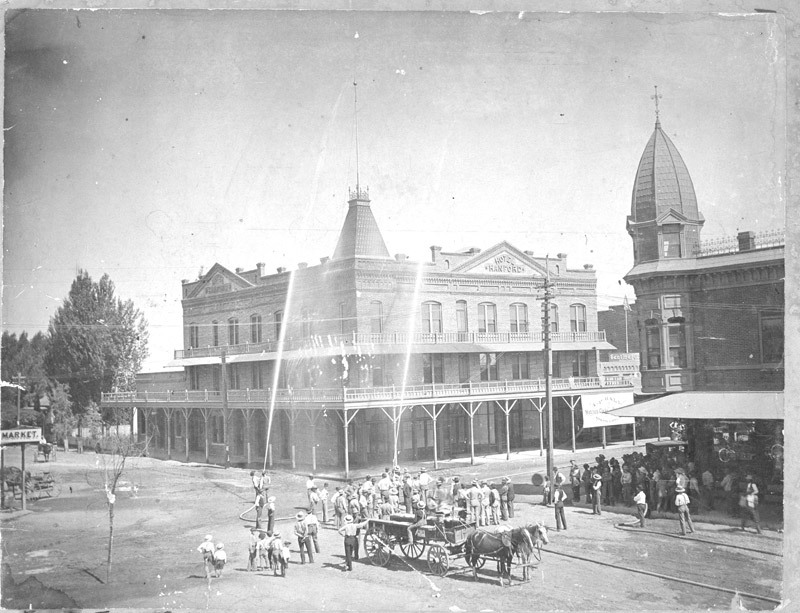 Spectators watching men with hoses in front of Hanford Hotel on 7th and Douty Street. 1 Photograph : b + w ; 7.25 x 9.25 cm. “First Test of Holly Water System for Fighting Fires, Hanford,” San Joaquin Valley Library System Digital Collections, accessed April 18, 2019, http://digital.sjvls.org/document/610.